Aces aren’t all Serena Williams serves. For years, the tennis star has also been serving up some serious style too, both on and off the court. Now, after working with various designers for different collaborations over the years, Williams is finally ready to take the plunge and launch her very own line — exciting! Fans of the legendary athlete know fashion isn’t a measly side hustle for Williams. In addition to having once enrolled at the Art Institute of Fort Lauderdale for fashion design, she has also joined forces with the likes of Nike and HSN to create capsule collections. Not to mention, the star routinely designs her on-court ensembles. It was only a matter of time, really, until she stepped out on her own. So, what will Williams be calling her very first, very own fashion line that will undoubtedly announce her fashion sensibilities to the world? The 12-piece collection will be sold exclusively on its own e-commerce website, with prices in the first group of designs ranging from $35 to $250. This includes everything from athleisure-wear (naturally, right?) to casual (think jeans) and business-ready pieces like blazers and dresses. 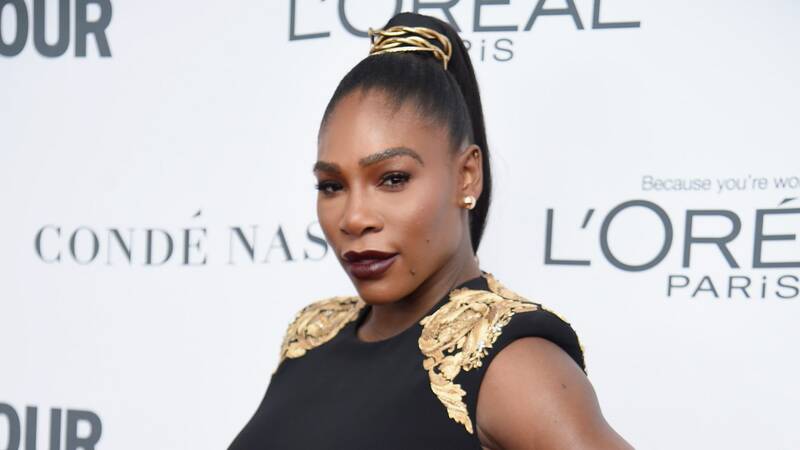 “I’m Serena Williams, and I don’t want to pay $1,000 or $3,000 for an outfit — I can, and I’m not going to. There are so few people who have access to buy whatever they want, however they want. I want them be able to buy these clothes,” Williams explained to Glamour. The line also includes a “motivational” section, pointing toward another priority of the collection: to empower women. They say life is about timing. I learned this lesson at age 18, when I chose to play a light tennis schedule because I wanted to go to fashion school. Some criticized my decision, but I knew I had two loves–tennis and fashion–and had to find a way to make them coexist.